See scan - very good condition. This is a nice and rare Bulgarian Communist / Socialist era commemorative pin for the 100 years / centennial anniversary jubilee of the Builgarian Trains and Railway factory 1866 - 1966. 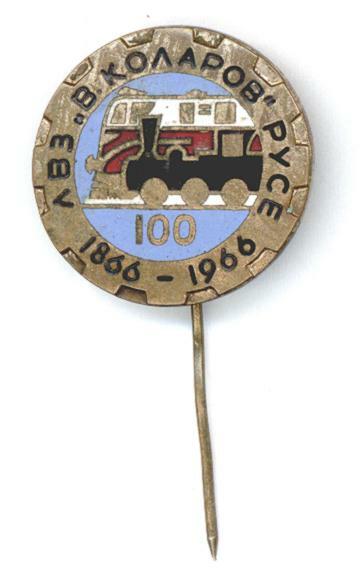 Nice and rare collector piece and one of the nice Bulgarian pins and badges.